Writer Vladimir Bogomolov died today in Moscow, at the age of 77. He was perhaps best known for his work on the screenplay for Ivan's Childhood, which was based on his novella Ivan. The Institute of Contemporary Art in London, England, will be screening Solaris from Saturday December 20 to Tuesday December 23, 2003. Thanks to Wayne Spencer for the heads-up. Please check out the exhibit Sergei Parajanov: Celebration After Life which runs December 4, 2003 – February 2, 2004 at the Hollywood Entertainment Museum, Hollywood, U.S.A. The event is blogged by mastersofcinema.org's Doug Cummings on his personal website, here. The Museum of Modern Art (New York, U.S.A.) exhibition The Hidden God: Film and Faith runs from December 4, 2003 – February 27, 2004. There is a new book out which deals with the cinema of Alexandr Sokurov: Aleksandr Sokurov. Eclissi di cinema (Torino, Associazione Cinema Giovani – Torino Film Festival, 2003, 302 pages, ISBN 9 788888357102). More info may be found here. Thanks to David Cairns for notifying us of this important new publication. Please read the following important announcement from Andreï A. Tarkovski and Charles H. de Brantes of the Institut International Andreï Tarkovski — [ announcement in PDF format | announcement in Word format ]. (Updated Nov 27: announcement now includes the time of the event, 7 pm on December 10). We have some breaking news to report. According to our long-time friend and supporter Alex Asp, a Nostalghia DVD-9 disc (possibly a 2 x DVD set) is in the works, and will in all probability be on the market by the end of the first quarter of 2004. The DVD, which may safely be described as a "labor of love" will have no region coding, it will include the best possible 16:9 enhanced PAL transfer, Dolby Digital mono Italian soundtrack and English subtitles. Tempo di viaggio is one of the documentaries scheduled to be included. If any of our readers have additional suggestions for DVD bonus materials, please let us know and we shall forward all information to the producer. Stay tuned for further details and for an official announcement. This is spectacular news, especially in view of the fact that Artificial Eye has stopped responding to our email, and that there are no clear indications that they intend to honor their promise of re-issuing their severely flawed Nostalghia disc set (see our September 17 news update and references therein). "[...] We had not quite anticipated this enormous interest and mails from all over the world, It's almost overwhelming with so much confidence that we will make the ultimate edition. (Which is our aim, of course!) I'm aware of several flaws in OFFRET and a lot of time, effort (and money!) has been invested in correcting these. Also, the final mix has been analyzed and restored. The quality of REGI ANDREJ TARKOVSKIJ has also been much improved. Both films have subtitles in English. As regards bonus material - should we include all the wishing lists that we have received we would end up with a 10-disc set and bankruptcy. There will be a 2-DVD set containing OFFRET, REGI ANDREJ TARKOVSKIJ and the special bonus material "Memories of Tarkovskij". This is based on an article written by Michal Leszczylowski, editor of OFFRET and director of REGI AT. It is very personal and very beautiful and gives great insight into the world of Tarkovskij. An actor reads the text (in Swedish and in English) to a collage of stills and film sequences matching the text. Currently we are racing towards deadline and are still on target [for a] release date of January 30 [...]"
We just received the following letter from frequent site visitor Gerd Syllwasschy of Germany. Also see our November 3 newsbrief. (non-anamorphic) 1.85 ratio. You can find screenshots here. TV. See here for a comparison of Icestorm's and Artificial Eye's versions. discs on a Pioneer DV-535 (picture freezes). Petr of nostalghia.cz reports that they have just posted a travel log contributed by Czech reader Michal Petrícek, who visited places in and around Paris which are associated with Andrei Tarkovsky in some way (Sainte-Geneviève-des-Bois, Cathedral of St. Alexander Nevsky, rue Puvis de Chavannes, 42 rue Claude Terrasse, Hartmann's Clinic). The travel log includes a small photo gallery. Check it out! Our reader Jim Heine recently submitted the following. "Direction Andrej Tarkovskij" by Michal Leszczylowski who was the editor of The Sacrifice. filmbutiken@sfi.se from January 30th, 2004. See also our September 22 newsbrief. The SFI are (we are told) well aware of our article The Sacrifice Redux, and we are confident that they will avoid most, if not all, of the problems described therein. And the fact that they realize the importance of English subtitling speaks for itself. Let's support their efforts by making this a best-seller. We're long overdue for an acceptable DVD version of The Sacrifice. Those of you who are still pining over the fact that you cannot Region 2/PAL discs, please read the pertinent words by Nick Wrigley (Mastersofcinema.org) at the bottom of this review. 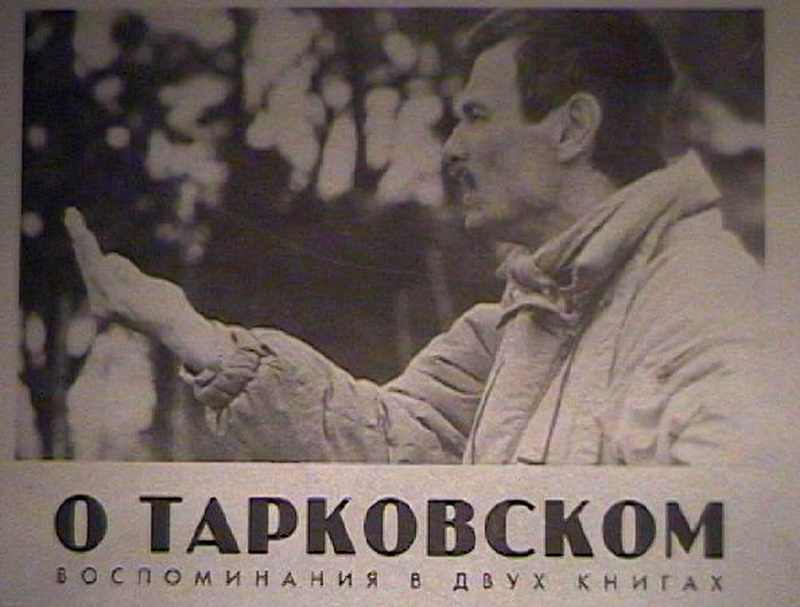 A new Tarkovsky-related VHS video tape has emerged out of Russia. 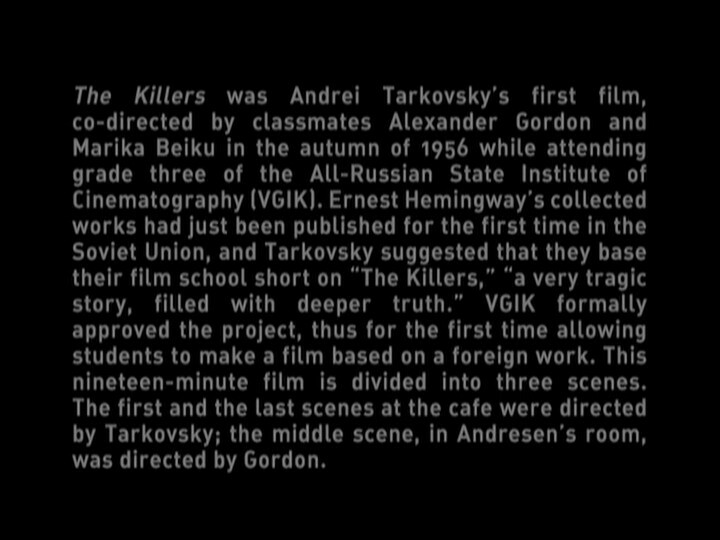 The tape is entitled Unknown Tarkovsky and contains two of Andrei Tarkovsky's student films — The Killers (1956, 20 minutes) and There will be no leave today (1959, 47 minutes) — as well as a new 29 minute feature called Student Andrei Tarkovsky (2003, directed by Galina Leontieva, photographed by Oleg Kochubei). Many thanks to Rodion Demine of solaris-room.ru for this news update. We note that Killers is already available in the West on a DVD, but There will be no leave today has never before been released in any home video format. It certainly would make a nice bonus feature on the (still not confirmed) Criterion release of Ivan's Childhood. Further to our August 19 and July 4 newsbriefs, it appears that the German DVD editions of Solaris and Stalker are set to be released tomorrow [ Stalker | Solaris ]. The DVDs will only contain a German dubbed mono soundtrack (i.e., no original Russian-language track. Uh,... hello!?). Also included is a Tarkovsky biography/filmography as well as an image gallery. 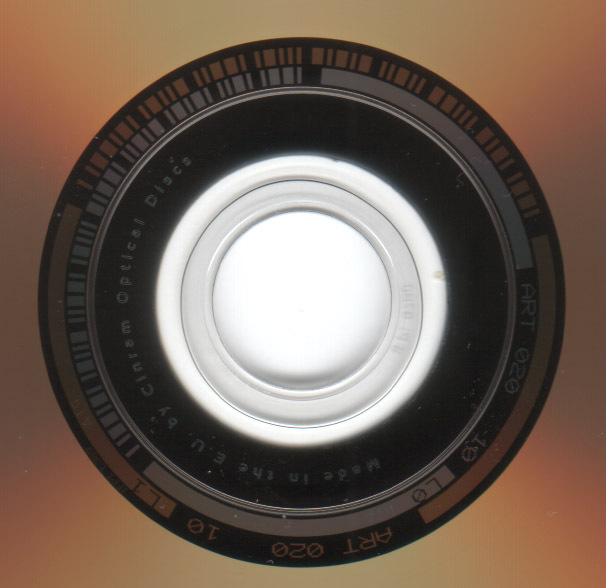 The Stalker disc includes "A reflection by cameraman Rolf Kettner" and Solaris includes "Solaris as an essential question of philosophy, by Michael Rosenhahn." It is unclear whether the latter two items are documentaries or simply audio or text commentaries. Thanks again to Gerd Syllwasschy for the update! Note that andreitarkovski.org now has an English section of significant size, here. Their extensive DVD Guide (in Spanish, but scroll down the page for their main DVD matrix), based in part on our own DVD section, should be a highly useful reference also to the English reader. Our friends and colleagues over at andreitarkovski.org have submitted the following exciting news item. Note the invitation to our readers put forth in the last paragraph below. We encourage you to take advantage of this unique opportunity. occasion for the visit is the launch of Rafael Llano's work, Andrei Tarkovski. Museum of Valencia. The book contains an introduction by Victor Erice. Tarkovski. Vida y obra, by Marina Tarkovski and Alexander Gordon. Rafael Argullol and Tamara Ivancic. Screening of Nostalghia. 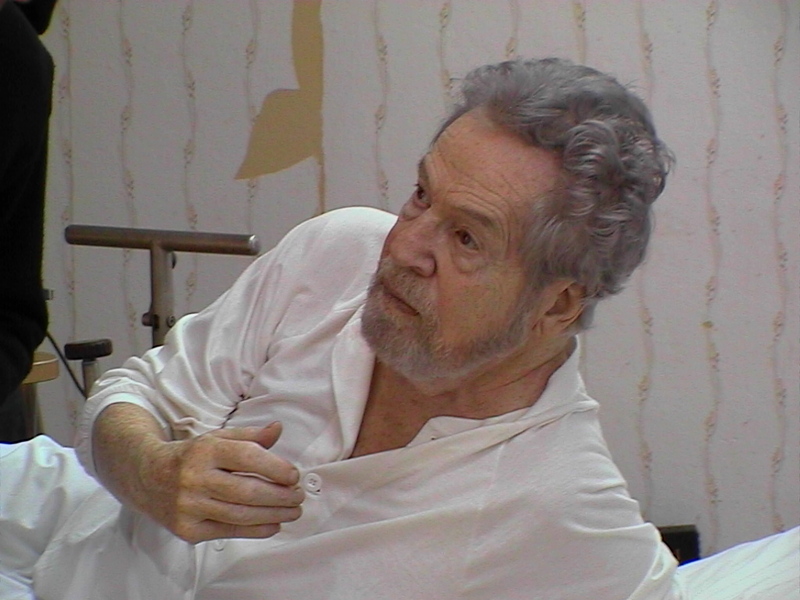 Rafael Llano. Screening of Mirror. Alexander Gordon, in order for us to forward these to them as early as possible. According to a recent press release from the Royal Institute of Technology (KTH), Sweden, photographer Sven Nykvist and sound engineer Owe Svensson are the recipients of the KTH's 2003 Grand Prize. They receive the award for their remarkable artistic accomplishments. Says the jury, "Through great technical skill they have contributed significantly towards Swedish cultural heritage, and helped give Sweden its unique place in the history of Cinema." The formal ceremony will take place at Stockholm's City Hall on November 14th. The prize is in the amount of SEK 850,000 (USD 110,000), and will be shared by the two recipients. We here at Nostalghia.com wish to congratulate the winners — a well-deserved recognition, indeed! As our readers will be aware of, Sven and Owe were intimately involved also in the making of The Sacrifice. We recently updated the site with an analysis of the currently available DVDs of The Sacrifice. Please read The Sacrifice Redux. You are well advised to lend an ear to city of the future, a project spearheaded by Kim Cascone, with exciting contributions from members of the .microsound mailing list. Incidentally, Kim worked with David Lynch as Assistant Music Editor on Twin Peaks and Wild at Heart. The Guardian just published this review, by Andrew Clements, of the new production of Tarkovsky's Boris Godunov at the Royal Opera House. Thanks again to Aidan King of Truro, Cornwall for keeping us informed. The Asolo Art Film Festival, Italy (22 – 28 September) has just commenced [ website ]. Screening out of competition is Andrei Rublov (27 September), with an introduction by Prof. Fabrizio Borin. Andrei Rublov was the winner of the first Gran Premio Asolo, in 1973. 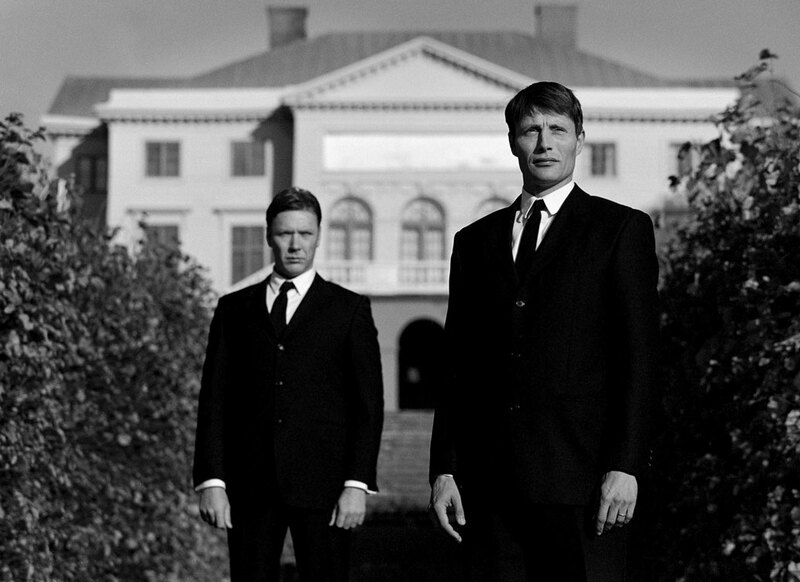 The Swedish Film Institute (SFI) is currently hard at work mastering a brand new DVD of The Sacrifice. Watch for our upcoming review (in association with DVDBeaver.com) of all The Sacrifice DVDs currently on the market, wherein we demonstrate that all DVDs released to date (all mastered from the same source) are defective in one way or another, and that the time is indeed ripe for a decent DVD presentation of this film. We have full confidence that the SFI will do a top-notch job. We'll keep you posted. The Guardian newspaper recently had an interesting article about Tarkovsky's 1983 production of Boris Gudonov. Read it here. Thanks to site reader Aidan King of Cornwall for the link. See also our July 25 newsbrief, as well as our Boris page. 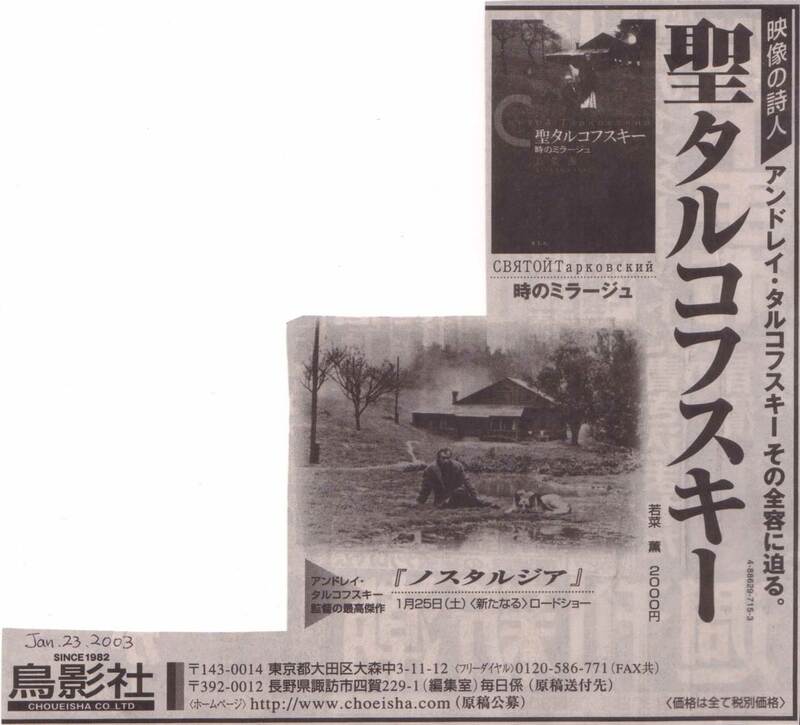 We occasionally get correspondence from readers who are desperately trying to obtain copies of the Japanese CD Cinema Classics: Andrei Tarkovsky, displayed in our soundtracks' section. We have thus far been unable to help. The following letter from Preston Houser of Kyoto, Japan seems to confirm that the item is out of print and that stock is depleted. (If any of our readers have been successful in obtaining a copy of this CD, we would like to hear from you!). Just a quick note concerning the London CD Cinema Classics: Andrei Tarkovsky. Congratulations on the construction of a great web page for an incredible film maker. 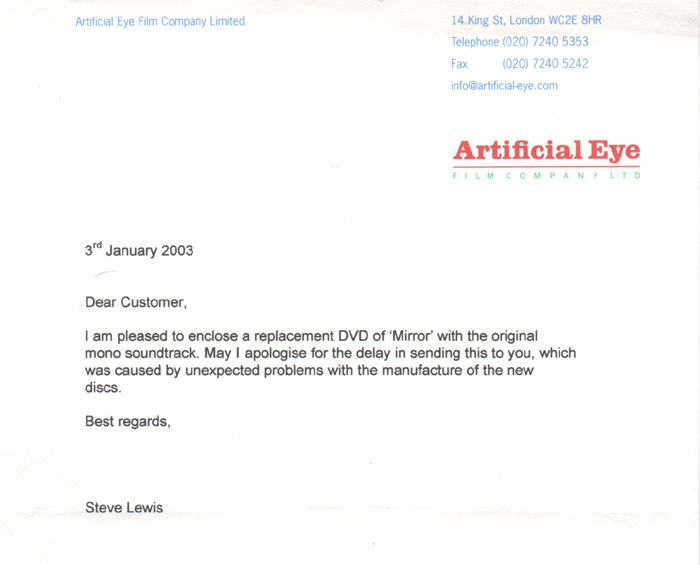 Artificial Eye (U.K.) report that they do not yet have a firm street date for their repaired Nostalgia 2-DVD disk set (see e.g., March 5 newsbrief). The audio problems are apparently more severe than originally thought. In the meantime, you may thus prefer to refrain from purchasing the current issue. We will keep you posted on the status of the upcoming re-issue, as we receive information. There was a piece in Thursday's LA Weekly touching upon Chris Marker's Tarkovsky documentary, One Day in the Life of Andrei Arsenevich. Read the article here. The documentary is being screened this week at the American Cinematheque (Los Angeles, U.S.A.). Some screenshots from the film, referenced in our Documentaries section, may be viewed here. We occasionally receive letters from people who would like to know our opinion on Carlos Reygadas' film Japón. Mastersofcinema.org's own Nick Wrigley pretty much sums up our feelings on the matter in this DVD review. At the other end of the spectrum we have Jim Hoberman, with this review (Village Voice). 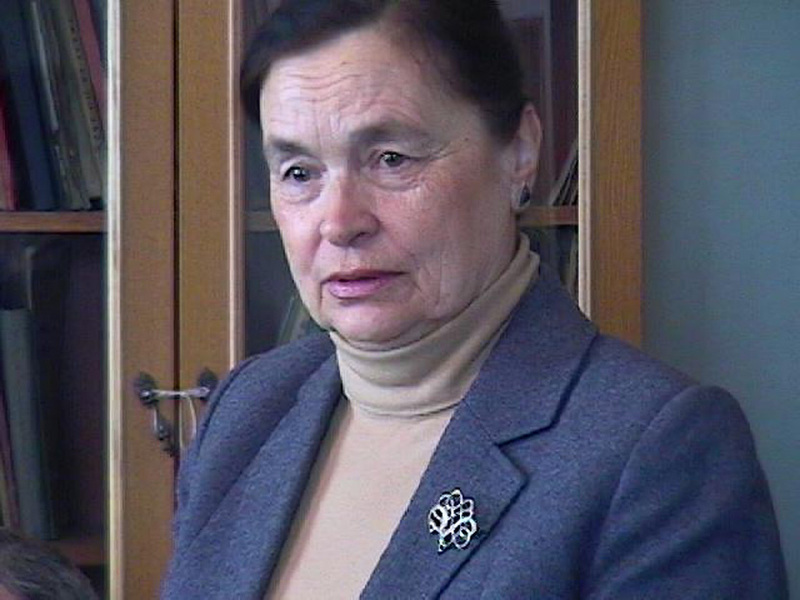 Marina Tarkovskaya's book Oskolki zerkala has been translated from Russian into German. The book, called Splitter des Spiegels, is now shipping from the publisher (edition ebersbach, Berlin). For further information, refer to the publisher's website. Ms. Tarkovskaya will be reading from her book during a September/October tour of Germany. The updated touring schedule may be found here. We have expanded our article on Overscan to include a few screenshots from Mirror and Stalker, and we have added some general comments on how to select a DVD player that will allow the display of the entire film frame on your overscanned TV/monitor. Looking Beyond the Edge, or "Why you should not always trust DVD commentary tracks"
Greek director George Agathonikiadis is in the process of making a new documentary film about Andrei Tarkovsky. The 70 minutes long film, which features Andrey Tarkovsky Jr., will open in the Spring of 2004. An article about the project is found here [Czech]. Thanks to Petr of Nostalghia.cz for the heads-up. It appears that there is going to be a delay in Icestorm Entertainment's line of Soviet film classics (see July 4 newsbrief). The German site DVD Inside reports that Icestorm has postponed the release of all 5 announced DVDs (including Solaris and Stalker) indefinitely due to "licensing issues." See original article here [German]. Many thanks to Gerd Syllwasschy for informing us. A winner has emerged in our 2nd Annual Anniversary Draw. The winner is Raúl Quintanilla Alvarado of Mexico. Congratulations, Raúl! The Filmhouse Cinema in Edinburgh, Scotland, is screening six Tarkovsky films during August and September. See their website for details. Our friends in Edinburgh are starting to get real excited, as these films are rarely screened in Scotland. Thanks to Eleanor Read for notifying us — and good luck with the retrospective! London's Institute of Contemporary Arts has just started showing a series of Tarkovsky's films. The series starts with Mirror and continues on with Ivan's Childhood. Details can be found on the ICA web site. Wayne Spencer informed us about this screening series. Nostalghia.com is celebrating its second anniversary today. We wish to thank our readers for all the encouraging emails over the years, and for frequent contributions of News items and other relevant material. The site is still far from what we would like it to be. The site has grown in content much faster than what we had anticipated, with the unfortunate result that some material is still somewhat disorganized and hard to find. We ask for your patience — we are slowly chipping away at it all, as time allows. Just like last year, we want to give something away on this August 1st. There will be a random draw, and the lucky winner will receive this original Japanese chirashi (mini-poster), as well as the original chirashi for the Theatre Image Forum, Tokyo, October – November, 2002 retrospective, and a CD copy of the Kulning music used in The Sacrifice — here is a sample track. All you have to do to enter the draw is to send an email to Trond and Jan at webmasters@nostalghia.com on or before August 15, 2003, with the subject heading "Nostalghia.com Anniversary Draw 2003." Only one entry per household, please. Nostalghia.com is an international site, we welcome entries from overseas. The winner will be contacted by email. There will be seven performances of the Tarkovsky production of Boris Godunov at the Royal Opera House in London during late September and early October of this year. See the Royal Opera House web site for details, and start counting your frequent flyer points. Thanks to Andrew Dalton for informing us. Martin Dench (U.K.) called our attention to a stateside retailer that sells the Japanese Toei Tarkovsky CD's listed in our much-visited soundtracks' section. The site is footlight.com, on 113 East 12th St. NY, New York. Those who find ordering directly from Japan somewhat intimidating may find this site helpful. American Cinematheque in Hollywood is showing a mini-Marker retrospective in September. One Day in the Life of Andrei Arsenevich is scheduled for September 6. An Alexander Sokurov 3-DVD box set is about to hit the streets. The disks are NTSC, all-region, and include English subtitles. The price is USD 14,000.00 per box set. Go back up to our toplevel mastersofcinema.org (MoC) page for further details (July 24 news item on that page), and bookmark the page for all future Sokurov-related news developments. MoC is a quickly expanding, fully non-commercial labor of love. We invite your contributions of news items and other relevant materials. The Anthology Film Archives, N.Y., is arranging a Tarkovsky retrospective this month. All films except Nostalghia will be screened, starting July 25 [ program ]. The restored Kino prints are being shown. Incidentally, a Bresson retrospective is scheduled for August (as reported by robert-bresson.com). Tonino Guerra interviews Tarkovsky in his Moscow flat, touching upon the topics of Bresson, Mizoguchi, Antonioni, Fellini, and the Stalker soundtrack. The first five items above were submitted to us by David Stringari of Fairfield, Connecticut, U.S.A. These are his English translations of articles originally published in Italian. We received them by postal mail, on fifteen neatly typewritten pages. He wrote, "Notwithstanding my neoluddite aversion to computers, when I learned of the existence of your website I had the librarians at my local library instruct me as to how to consult it". Thank you, David — you truly have re-charged our batteries more than you know. Alexander Dovzhenko was one of the Soviet Union's greatest film-makers – but after he fought on the wrong side, his poetic brilliance was hamstrung by years of harassment, says Jonathan Rosenbaum in a recent Guardian article, entitled In Stalin's shadow. See DVDBeaver's review of two of the disks included in the earlier mentioned RusCiCo box set from the Korean distributor Spectrum: [ Mirror | Ivan's Childhood ]. DVDBeaver appears to think that the disks may be bootlegs. But we might add that RusCiCo does indeed list Spectrum on their "partners" web page — which does provide an indication that the releases may be perfectly legit. The German company Icestorm Entertainment (www.icestorm.de) has acquired the German video distribution rights for 50 classic films of Soviet cinema. The first five titles are scheduled for release on DVD and VHS in August. Titles include Tarkovsky's Solaris and Stalker, Alexander Mitta's Burn, Burn, My Star and How Czar Peter the Great Married Off His Moor, and Mikhail Romm's Ordinary Fascism. This will be the first time that any of Tarkovsky's films are released on DVD in Germany. 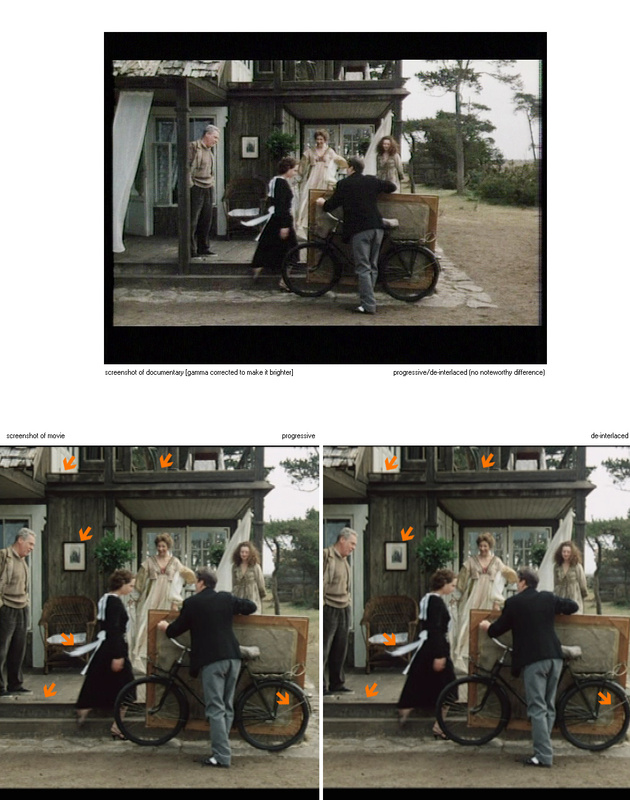 According to an article in epd Film magazine, the DVDs will be mastered from restored DEFA prints and will contain German synchronizations made by DEFA, the national motion-picture production and distribution company of the now extinct German Democratic Republic. Apparently, these DVDs will not contain any substantial bonus materials. And, incredibly: the original Russian soundtrack will not be included. Odd behavior by the Germans, who traditionally tend to hold the work of Tarkovsky in high regard. This information was submitted to us by our friend Gerd Syllwasschy of Germany, who gleaned it from the 20 May 2003 Icestorm press release as well as from an article by Jörg Taszman in the July 2003 issue of epd Film. The Steamroller and the Violin will be airing this Saturday, the 5th of July, on Turner Classic Movies (TCM, USA) at 2:00 am. Many thanks to Jason Roig for notifying us. The Canadian Film Institute in Ottawa will over the course of the next few weeks be showing all of Tarkovsky's feature films in new 35mm prints. The programme may be found here. Many thanks to Jon Kung for the heads-up. Claudio Abbado has, believe it or not, turned seventy. Check out the birthday celebrations at Club Abbadiani Itineranti. We have received some additional information from Kevin Parent on the Korean RusCiCo box set we mentioned earlier. As already reported, the "light" version of the box set includes only Ivan's Childhood and Mirror, the latest titles to be released in R3. Both of these have English subtitles, although the extra materials on Mirror do not. Specifications are as follows. Ivan's Childhood: Russian 5.1 or original Mono. Subtitles: Korean, Russian, English. Bonus features: archival footage approx 17 min; interview Zharikov 17 min; interview Ochinnikov 32 min; interview Yusov 32 min; extensive filmographies including 14 people, 43 screenfuls of text, and all in English; photo album. Mirror: Russian 5.1 or original Mono. Subtitles: Russian, English, Korean, Off. Bonus features: Arseny Tarkovsky text bio in English; Anatoly Solnisyn 7 min featurette in Russian with Korean subtitles only; Innokenty Smoktunovsky 9 min featurette in Russian with Korean subs only; Memory, 2 min featurette in Russian with Korean subs only; cast & crew; photo album. Further to our previous newsbrief: In Memoriam Tarkovsky, the CD released on Russian label IVB (IVBCD08), contains four works: Across the River by Michael Prime (of Morphogenis), Tarkovski by Christian Renou (aka Brume), Water, water, water everywhere by Stanislav Kreitchi (Russian composer of electronic music of the same generation as E. Artemjev), and Mr.Foley's final moments by Roger Doyle (of Operating Theatre, etc). The online retailer Ground Fault (groundfault.net) apparently has this item on sale, at a mere USD 4.50. Thanks to Dolf Mulder and Wayne Spencer for contributing to this news item. A recent update from the Amsterdam record retailer Staalplaat includes an item on a CD of Tarkovsky-related music, In Memoriam Tarkovsky, issued by the Russian label IVB. See the blurb [text file]. Thanks to Wayne Spencer for notifying us. The programme for the upcoming Tarkovsky retrospective at the Folly media arts centre (Lancaster, U.K.) is found here [PDF]. These are unfortunately only DVDs being screened — the reason, they claim, is a broken film projector. There are reports of a Tarkovsky DVD box set coming out of Region 3, from Spectrum of Korea. There appear to be two editions available: a less expensive set (here) as well as a more expensive edition (here). Apparently these are identical in that they each house five RusCiCo titles (Ivan's Childhood, Mirror, Rublov, Solaris and Stalker), but since the latter three titles have been out individually for over a year, the cheaper box does not include these (but still includes space for them). No further details at this time. Thanks to Kevin Parent of Korea for the information, received via the excellent DVDBeaver listserv. Some additional information on the two "new" RusCiCo titles from France (see our previous newsbrief). The releases are actually the old 2002 RusCiCo issues, but handled by Films sans frontières as French subsidiary (film bar codes #3760019380407 and #3760019380414). According to the printed version of their May–August 2003 catalogue, Folly — a media arts centre in Lancaster, UK — will be showing the seven main Tarkovsky films over the period 15–17 August, 2003. Details do not yet appear on their website, but please bookmark it. Thanks to Wayne Spencer for the heads-up. One of our readers just received the following reply from Artificial Eye upon contacting them regarding the re-release of Nostalghia, asking them what exactly will be improved/changed for the reissue. We quote: "We hope it will be changed but we haven't got all the elements together yet. It will be a few months before we can finalise it." — AE previously told us "early June." This now sounds somewhat unrealistic. We will keep you posted. Out of curiosity, we asked Artificial Eye to explain the Fox Video annotation on the back of all their DVD cases (see our previous newsbrief). Their response: "It dates from when Fox distributed the videos to retailers. They don't do it any more and we were and remain independent. If you look at new videos, it will say World Cinema where it said Fox. World Cinema belongs 50% to us." Thanks to AE for clarifying the issue... and we apologize for any confusion we may have caused. RusCiCo is apparently releasing new editions of Andrei Rublov and Stalker on DVD in France. We would like to hear reports from our readers on these. How do they compare with the earlier issues? E.g., does the new Andrei Rublov finally include the original mono track? Also, is the new RusCiCo Ivan's Childhood taken from a better print than their first version (which was worse than the old VHS version). We shall report our/your findings here, and update our DVD recommendations page accordingly. We need your input. Not directly Tarkovsky related but still interesting, please see the June 4 Guardian article Whatever happened to the rest of the planet? The article includes some interesting comments by the head of Artificial Eye, as well as news that AE have picked up Sokurov's Father and Son. Some more Sokurov news. U.K. screenings of Russian Ark are listed on AE's dedicated web page. Seville Pictures reports that they have secured an opening for Sokurov's Russian Ark in Calgary, Canada. Screenings start on June 20th, at the Uptown Screen. Screenings at the Garneau Theatre in Edmonton and Oxford Theatre in Halifax should take place some time in July. Gonzalo Blasco tells us that a Sokurov retrospective has just commenced at the Filmoteca Espanola. Their programme is found here [PDF]. We have learned that Artificial Eye is hoping to have the corrected version of their Nostalgia disk set available for shipping by "early June." No word yet on how exactly one may ensure that the version one purchases at any given point in time is indeed the updated version. We shall keep you posted. (See March 5 & 20 newsbriefs for further context). Be forewarned that old versions of Artificial Eye's Mirror (i.e., without the proper soundtrack) are still shipping from some online retailers (e.g., amazon.uk) as AE (a) failed to recall the faulty disks and (b) failed to properly label the reissue. If you happen to receive the improper version (see January 4 newsbrief on how to identify it), promptly return it to Artificial Eye Film Co Ltd, 14 King Street, London WC2E 8HR, England (Att. : Steve Lewis) for an exchange. Our revised official recommendation is — in view of all this confusion — to simply avoid the AE Mirror altogether, and instead get the new RusCiCo R1 issue (see May 1 newsbrief). In his diary, on 23 November 1983, Tarkovsky writes: "In London I became closely acquainted with André Engel to whom I spoke rather coolly in Cannes. It turns out he is a very nice man. When I asked him why he distributed my films, as they were not very profitable, he responded that I was his Holy Cow. This was very nice." It thus appears that André Engel himself was a co-founder of the Artificial Eye Film Company. Originally independent, Artificial Eye is today, if we understand the small print on their DVD covers correctly, a subsidiary of the Rupert Murdoch News Corporation (Fox Video). 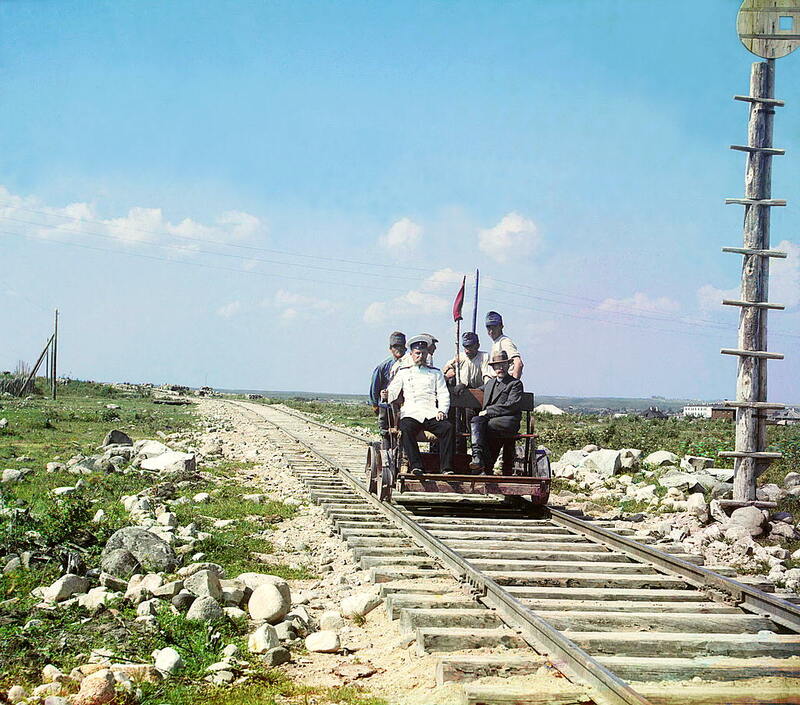 Please don't miss the U.S. Library of Congress exhibition The Empire That Was Russia. 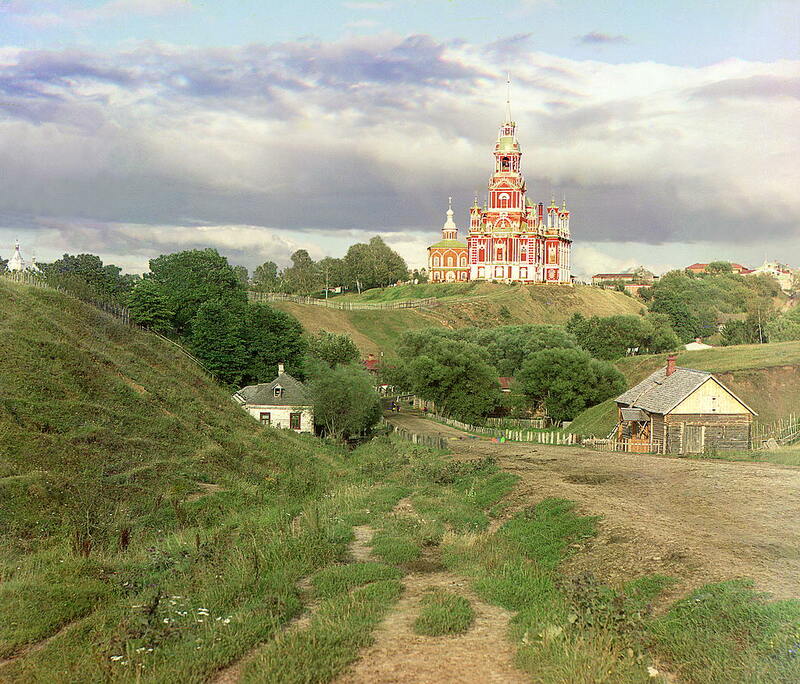 It features the photography of Sergei Prokudin-Gorsky, who photographed pre-revolutionary Russia (1905-1915) in color. 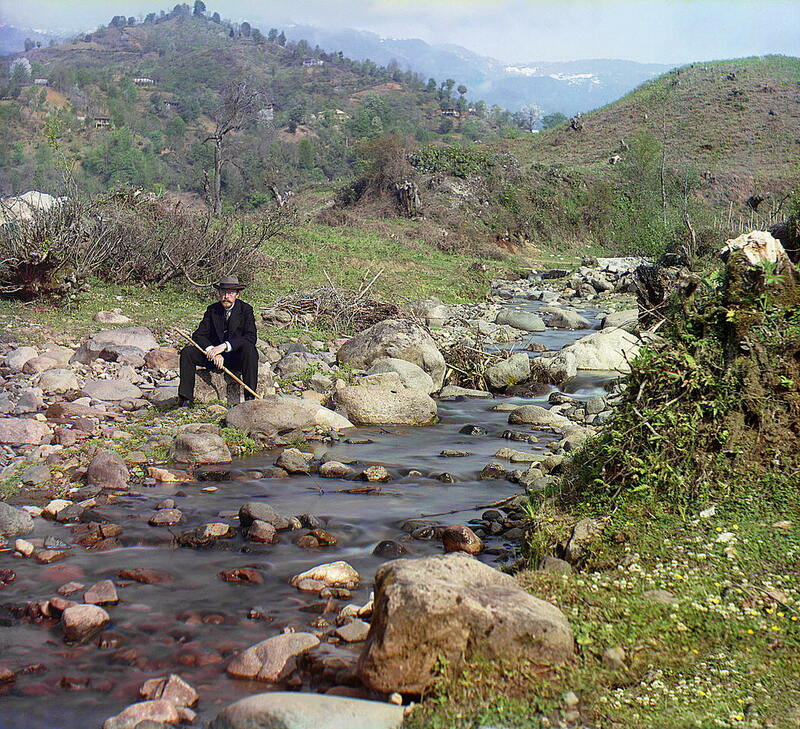 Here is the photographer himself, circa 1910. This photo was taken in 1911, believe it or not. And this one was taken in 1915, photographer seated to the right, returning from the Zone. Remarkable! Darren Hughes of longpauses.com submitted the following after attending parts of the Tarkovsky Retrospective currently being held at the National Gallery of Art, Washington. Thanks, Darren! out of the theatre into a room full of Rothkos and Lichtensteins. people, at most. I imagine that the Sunday showing attracted a larger crowd. Dostoevsky?" line probably got the biggest one) and by the tension it created. theatre on Saturday, I was struck by the complete silence of so many scenes. noises are no longer blaring during the footage from Spain. I don't get it. The Tarkovsky retrospective at the National Gallery of Art, Washington, is well underway (see March 13 newsbrief). We invite you to submit capsule reviews of your favorite screenings. We depend upon reader contributions to keep our news section alive and exciting. If there are new publications (any media) and screenings (any country), we want to hear about it! Shin-Bungeiza Theatre [ website | venue ] in Tokyo will be showing Andrei Tarkovsky and Nikita Michalkov films as a part of their World Film Authors series, from May 24 – June 6. According to their schedule, Solaris and Nostalghia will be screened May 24–26, Mirror and Stalker May 27–29, Andrei Rublov and Ivan's Childhood May 30 – June 1. Thanks to Kimitoshi for this update. SOLARIS (Criterion): On the subtitle menu, highlight "Main" and then move the cursor to the left and you will see that a line appears. Select it. THE KILLERS (Criterion) go to the biographies section and select Clu Gulager. On screen showing Gulager's photo, press "up" and a box will appear next to Gulager's name. Press "enter". 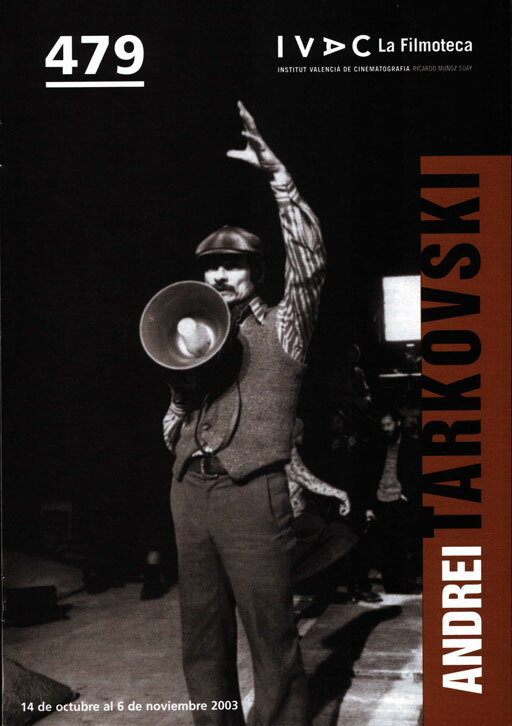 There was a Tarkovsky-mention in the programme catalogue for the recent L.A. Exhibition of Russian Cinema [ website ]. On page 7, the following message from Mr. Leonardo DiCaprio: "It is a great pleasure for me to learn of the emergence of the first Annual Russian Intl Film Festival and their first LA Exhibition of Russian Cinema as I have been a longtime fan of Russian Film, especially the works of Eisenstein and Tarkovsky..."
On May 11, distinguished film director Mikhail Vardanov accepted the highest honor of the Beverly Hills Film Festival, the Golden Palm Award for Best Picture, for his documentary PARAJANOV: The Last Spring. The film, which also incorporates a moving tribute to Andrei Tarkovsky, has previously won the Russian Academy of Cinema Arts NIKA Award (1992) and the Golden Gate Award of the San Francisco Intl Film Festival (1995). The highlight of Vardanov's acceptance speech during the awards dinner ceremony held at the Beverly Hills Hotel on Sunset Boulevard was the screening of a scene from Sergei Iosifovich Parajanov's unfinished The Confession — Mr. Vardanov used it to compare Eisenstein's and Mayakovsky's description of the Revolution to that of Parajanov, thus illustrating uniqueness of the film language of Parajanov. Mikhail Vardanov's son Martin, curator of parajanov.com, co-wrote the documentary. (Incidentally, he is also a longtime friend and supporter of Nostalghia.com). Some Sokurov screenings: Director Keith Rose reports that Sokurov's Russian Ark will be playing at the Enzian theatre in Orlando on June 13. The film will be digitally projected — one of only four U.S. theatres showing it that way. Gonzlo Blasco of Spain reports that there will be a Sokurov retrospective held at the Filmoteca Española in June. The mono version of RusCiCo's Mirror DVD is now finally available in region R1/NTSC. rbcmp3.com is very helpful in that they clearly differentiate between the two versions on their website — the mono version is listed here. Thanks to Mikhail Lemkhin for notifying us. Speaking of Mikhail, a signed and numbered print of his wonderful Tarkovsky portrait graces the walls of Nostalghia.com headquarters. It is a strictly limited edition, but we believe prints are still available via his website lemkhin.com. Heartily recommended...! Jim Holland of Raleigh, NC reports a Tarkovsky reference in Godfrey Cheshire's recent review of Russian Ark, entitled The Winter Palace. Nothing much to report these days; we're still waiting for news from Artificial Eye regarding their Nostalghia DVD re-issue and will let you know the moment we have anything to report. The Los Angeles Exhibition of Russian Cinema starts today. Among titles to be screened are Mirror and Andrei Rublov, as well as Parajanov's The Legend of Suram Fortress and Shadows of Forgotten Ancestors. Check the Exhibition's website for showtimes. While on the topic of Parajanov, a transcript of the famous Holloway interview may be found here. His last statement (on Tarkovsky) is particularly touching — the actual footage may be found among the supplemental materials on Kino's The Colour of Pomegranates DVD. April 4th was what would have been Andrei's 71st birthday. Our correspondent in Ivanovo sent us the following report. master and the time when they worked together. Please see the attachment for some pictures about the event. Some of or readers will undoubtedly recognize Alexander Gordon from his appearance in The Killers. See our excerpt from Gordon's piece called Student Years which appeared in the wonderful 1989 edition of Marina's book. All photos above are © Eugene Borzov/Nostalghia.com — All rights reserved. Gonzalo Blasco in Spain informs us that Chris Marker's documentary Une journée d'Andrei Arsenevitch will be screened during the upcoming Chris Marker Retrospective in Madrid (first screening on April 30). The full programme is found at the Filmoteca Española [ PDF ]. 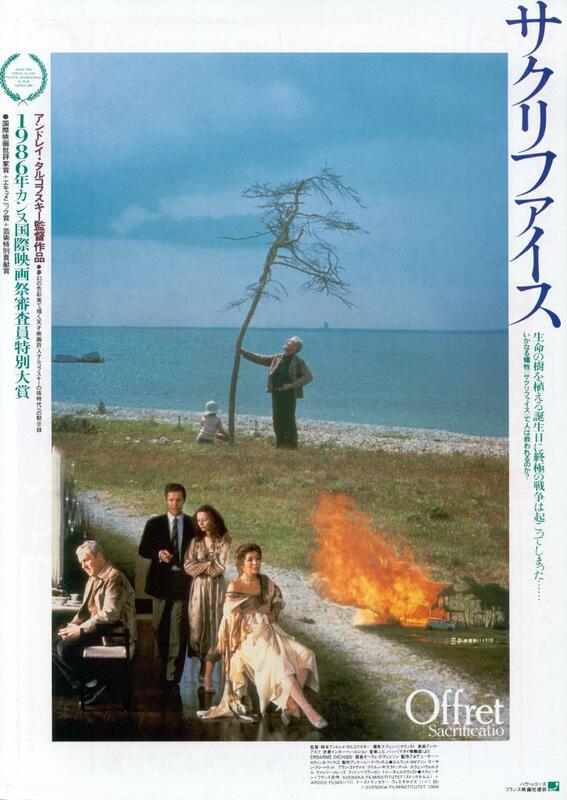 Our Japan correspondent, Kimitoshi Sato, reports that Tarkovsky's major works will be shown at a reputable theater in Tokyo in late May. Details to follow closer to the actual date. On a somewhat unrelated note, in his report Kimitoshi also mentions that Bela Tarr participated in a symposium held in conjunction with the recent Hungarian Film Festival in Tokyo [ web site ]. Both Sátántangó and Werckmeister Harmonies were screened during the Festival. Color us envious. problem but I do think it's more effective to identify the newsreel footage. Thank you Wes for providing our readers with the above titles, which do help put things into context. Theatrical prints actually never contained these — they were most likely added by the UK publisher to the VHS version. When the film was shown in the West for the first time at film festivals and the like, the audiences were given a little printed "explanation" of the documentary footage (and also of who exactly those displaced Spanish people in Moscow were!). Since Tarkovsky never added these titles himself, we here at Nostalghia.com believe that they should not be there. Unfortunately, a non-Russian viewer is then missing some of the context. For future Mirror DVDs, perhaps the inclusion of a printed note (akin to the above note from Wes) or an additional subtitle channel might be a solution? Paolo Mottana, teacher of Philosophy of Education at the University of Milan (Bicocca), has submitted to us a paper he has written on Tarkovsky. It is also published in his latest book, L'opera dello sguardo, which is a study on the use of imagination in education. The paper, written in Italian, is entitled Il limo salvifico di Andrej Tarkovskij. A PDF version of the paper may be accessed here — we have also added the article to our Links' section. (We will post it in our Topics' section if someone volunteers to translate the article into English for us.) Thanks to Mr. Mottana for sending us his paper and for giving us his permission to host the paper on our web site. Filmmaker David Cairns pointed us to this article on Sokurov's Russian Ark, written by Benjamin Halligan and hosted by the excellent Senses of Cinema website. Tarkovsky is mentioned several times, and the piece is well worth reading. Seville Pictures, Canada, reports that Russian Ark will open in Edmonton on May 16th, at the Garneau Cinema. It also plays at the Cinematheque Winnipeg (part of the Winnipeg Film Group) on June 6–12. Seville has kindly provided us with this press kit [PDF], which includes an interesting piece written by Dr. Ken Barlett, Professor of History at the University of Toronto; It was written with a view towards preparing press and viewers for the historical perspective of Russian Ark. We are cooperating actively with Artificial Eye in an advisory role as they work on rectifying the various problems associated with their recent Nostalghia disk set. They appear to be taking this issue very seriously and things are proceeding well. A significantly improved (much more complete) version of the English subtitles for Tempo di viaggio is already in the finishing stages. An incorrect (discarded) version of the subtitle file was accidentally used on the released DVD. Due to the special attention given to the issue now, it has been possible to significantly enhance even the "correct" subtitle file. Other issues will be attacked in turn. Our page dedicated to the book of Tarkovsky Polaroids, Luce istantanea, is complete. It may be accessed here. Do not miss the excellent essays therein by Guerra and Chiaramonte, kindly provided to us by the book's producer (Ultreya, Italy). In Nostalghia, why, after traveling hundreds of miles to see the Madonna del Parto does Gorchakov not enter the Chapel? James Macgillivray seeks to show that the answer to this question lies in the relationship between Gorchakov and Tarkovsky. Please read his utterly fascinating and richly illustrated paper, Andrei Tarkovsky's "Madonna del Parto". Our Paris correspondent Michael Lellouche attended the recent Dietrich Sagert stage adaptation of Tarkovsky's Hoffmanniana (see our February 19 announcement). He shares his personal impressions in this report. We invite other attendees to submit their own viewpoints — email newsdesk@nostalghia.com. Seville Pictures (Canada) informs us that the opening week for Sokurov's Russian Ark at the Varsity in Toronto was very good — the film was the number one performer at the complex and netted a surprising $40,000 in 7 days. Two additional prints have been ordered in view of its popularity. As a result, Seville has been able to lock an opening for Vancouver (April 4th at the Fifth Avenue Cinemas) and for Ottawa (April 17-27 at the Bytowne Cinema). Dates for Edmonton (Garneau Theatre), Calgary (Uptown) and Winnipeg (Globe Cinema) will be announced within the next two weeks. Finally, we take this opportunity to briefly quote from Alexander Sokurov's haunting essay Death, the Banal Leveller—On Tarkovsky. "If I'm asked whether I am one of [Tarkovsky's] disciples, I reply with a triple 'No.' I never studied under him. I never idolised him. And I will never continue his work, because each artist must go down his own path. The path which he followed could only be his: he sought out his own forest and there he made his own clearing, in order then to follow his own compass to the north — towards his death. And there is nothing unusual in all this: everyone in Russia goes his own way, at least those who have inner faith. "In their souls all Russians are people who 'clear paths through the forests.' Some willingly, some against their will. All of us beat a path through life as if through the Taiga and make terrible sacrifices in the process. And if by chance we happen upon a clearing full of berries, sunlight and soft grass we immediately lose our heads, become melancholic and give up the search for the promised land to go looking for a new thicket, to pursue new trials in the deadly forest, never to return to that place where a seductively simple good fortune revealed itself to our eyes." Excerpted from Alexander Sokurov: Death, the Banal Leveller—On Tarkovsky. A relatively high turnout is expected — arrive early. From the NGA website: "All programs are in the East Building Auditorium, 4th Street at Constitution Avenue, N.W. Film programs are free of charge, but seating is on a limited first-come, first-served basis. The East Building auditorium is equipped with an FM wireless listening system for the hearing impaired. Receivers, ear phones, and neck loops are available at the Art Information Desk near the main entrance. Programs are subject to change; for the latest information call (202) 842-6799." A few days ago, we submitted to Artificial Eye our list of identified problems with their Nostalghia disk set (see our March 8 newsbrief for the full list). Their first response is as follows (stay tuned for further updates). company and I will be able to respond to you more fully soon. A restored print of Solaris will be shown next week at a film festival in Bergamo, near Milan. The festival is the "Bergamo Film Meeting." Although it is generally considered a "minor" festival, it offers the opportunity to catch some rather rare films. The programme is found here, and a link directly to the page listing the restored Solaris is located here. The Italian text here says: "Taken from a book by Stanislaw Lem, it is a trip into space, but mostly into the human mind, into the mysteries which cross our paths. It will be shown—at last—in a new integral copy, running 165 minutes (in Italy it was originally shortened to 115 min), taken from a restored negative. With the collaboration of the International Andrej Tarkovskij Institute of Florence, headed by his son Andrej." Thanks to Paolo Pardo for this update. Our feeble attempt at easing the DVD confusion: Tarkovsky DVDs: The good, the bad, and the ugly. The following are some upcoming Tarkovsky screenings in the U.S.A. The new prints are Ivan's Childhood, Andrei Rublov, Solaris, and Mirror. Stalker comes in a less-than-perfect print imported from Europe. See yesterday's newsbrief for an evaluation of the new Rublov print. We have received the sad news that Stan Brakhage has passed away [ announcement ]. Our heartfelt condolences go out to his whole family. Richard Malloy recently attended a screening of the new print of Andrei Rublov at the The Museum of Fine Arts in Boston (see our February 17 news column). Vida Johnson showed up for a rather interesting discussion... please read Richard's interesting and informative report. Our correspondent Petr Gajdošík [ Nostalghia.cz ] in the Czech Republic tells us of a significant new book by Czech director Vladimír Suchánek which has just hit the bookstores. 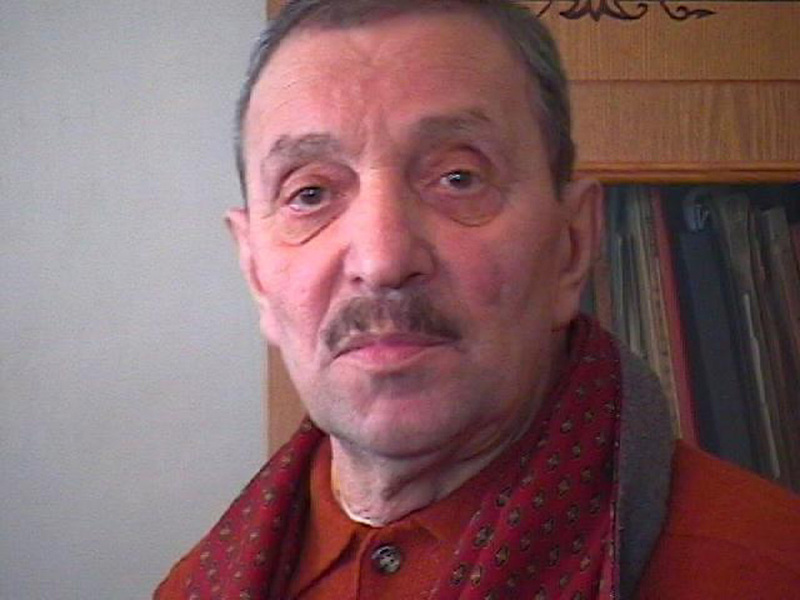 Mr. Suchánek studied at the VGIK, and had the opportunity to attend several of Tarkovsky's famous VGIK lectures. Due to his religious convictions, Mr. Suchánek was unable to make films during the communist era. His book is entitled Topografie transcendentních souradnic filmového obrazu (in English perhaps something like, Topography of transcendental film screen coordinates) [ISBN 80-244-0417-6]. The book is a theoretic work, reportedly a rather insightful treatise on the topic of spiritual/transcendental cinema, covering directors such as Parajanov, Bergman, Vlacil, Abuladze, Trier, and Tarkovsky. 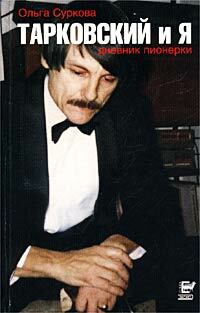 A full one-third of the book is devoted to an analysis of the films Andrei Tarkovsky. A review of the book, in Czech, can be found here, and table of contents is found here. Vladimír Suchánek is currently a lecturer at the University of Palacky in Moravia, and he is working on a documentary feature. Petr also reports that he concurs with all our finding regarding Artificial Eye's Nostalghia DVD. His own analysis is found here (in Czech). It is interesting to note how, in this age of the Internet, problems concerning video and audio transfers onto consumer video formats are immediately spotted and information so quickly disseminated. Back in the age of the VHS, problems just tended to roll on for years. Films suffering from severe defects (such as faulty aspect ratios) made their way into libraries and homes, unnoticed by all but the most alert viewers— who harbored no hope that the error would ever be rectified. With the advent of DVD, however, viewers are more informed and discriminating than ever before. The product can now be analyzed in minute detail on their own personal computers and a report-card can be issued for the whole world to read within a matter of minutes. People are no longer willing to put up with disrespectful treatment of their favorite works of art. This, we believe, is an encouraging trend. End of today's rant. Have a good week. Here is a brief audio clip from the opening sequence of Artificial Eye's Nostalgia: [ mp3 (1 MB) ]. At the very least we can say this: it is easy to tell where the soundtrack begins. Today's news update takes us from Japan to Los Angeles, via the long route. Japan: Nostalghia came to the end of its run at the Image Forum, Tokyo on Friday March 7th. NHK BS2 airs Nostalghia 00:45 - 02:52 am, and Directed by Andrei Tarkovsky 02:53 - 04:30 am, both on March 9. Eisei Gekijo satellite TV airs Solaris on March 10 at 01:00 - 04:00 pm, and on March 25 at 07:00 - 10:00 am. Set your VCRs. 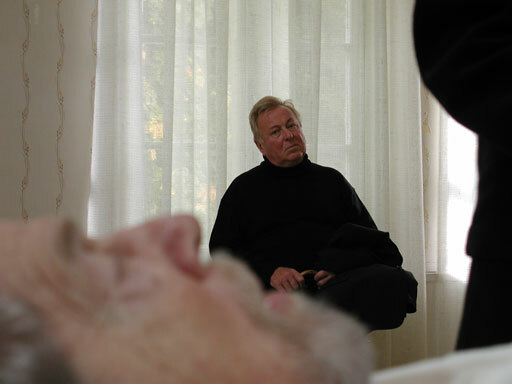 Germany: Andrei Rublov, Solaris, Mirror, and Stalker are being screened in Hildesheim, Germany, from May 13 to June 3. Refer to the KellerKino website — and mark your calendars. The image is not only cropped, it is also noticeably squeezed in the vertical direction causing peoples' faces to appear bloated. Artificial Eye's transfer comes on a single-layered disc, with a mere 4.49 Mb/s bitrate. This is half the rate of the FoxLorber double-layered DVD (R1/NTSC). This low bandwidth results in visible compression artifacts, and degradation of image sharpness/definition. The audio of the main feature is (erroneously) encoded according to the mp2 standard instead of the Dolby Digital stated on the cover. The audio is thus rendered unplayable by many modern DVD players and home theatre systems. And those who can play back MPEG audio are treated to an exceptionally unpleasant soundtrack. The film's subtitles show off a new "feature": subtitles slowly "fade in" and "fade out" rather than just appearing and disappearing. 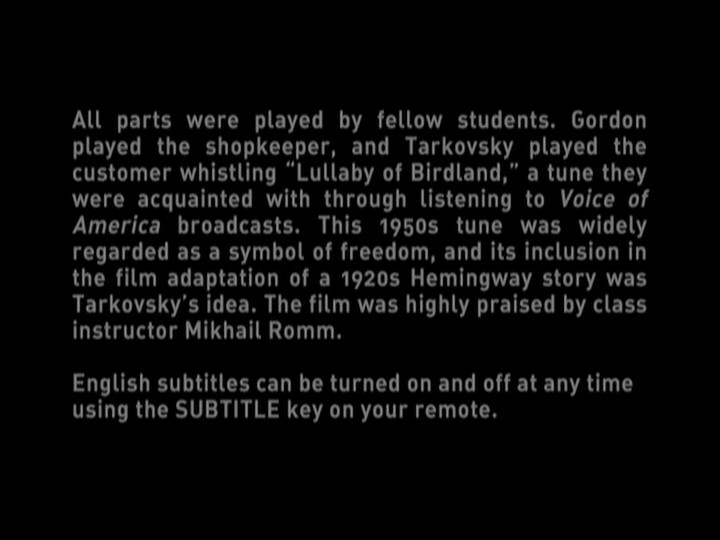 This impinges upon the the total amount of time available to the viewer in which to absorb subtitles. It also becomes a major cause of irritation, constantly drawing attention to itself. This is an abomination which must be nipped in the bud before it becomes the norm. retrospective held at the Nuart Theatre in west Los Angeles. We ask our readers to keep us posted on the quality of presentation (or lack of such), as the retrospective makes its way across the continent. film quality definitely affected the viewing experience. Childhood and 3rd for Mirror. Tarkovsvky's film on the big screen...a rare treat on the West Coast. DVD authoring company has deviated from the specifications we gave to them. advise you as soon as I do. Artificial Eye has issued the following preliminary statement in response to our inquiries (see our two previous newsbriefs). Trade in Italy, who controls the rights to the film, was in a terrible state. sound and is in fact Dolby Digital, however. A reader in Croatia sent us the following. I hope you can advise me about which course of action to take regarding this matter. We continue to receive rather disturbing news from overseas. Tarkovsky was a demanding director. He was a meticulous person, a professional who left very little to chance. His fans are equally demanding. We have been treated to a string of desecrations of his art over the past year, and the latest gaffe by Artificial Eye (see also yesterday's newsbrief) simply serves to add insult to injury. We have contacted Artificial Eye for their opinion on the matter, and their planned course of action. Our review copy of Artificial Eye's newly released Nostalghia DVD has not yet arrived at Newsdesk, but we have started receiving reports on the product from our readers in the U.K. There is good news and there is bad news. First, the good news. Tarkovsky's own Tempo di viaggio and Baglivo's "making-of" documentary are simply riveting. Tempo is presented for the first time ever with English subtitles, in its original aspect ratio (OAR) of 1.33:1. It was transferred from 16 mm, and looks accordingly. Subtitles are removable. The feature is very watchable. Baglivo's documentary, Andrei Tarkovsky in Nostalghia, has ingrained English subtitles and a tape glitch error in the form of a few lines across the top of the screen that constantly draw attention to themselves. The documentary is very watchable, but the transfer is less than ideal. The transfer of the main feature itself, Nostalghia, has that "grainy but good" quality, and looks very similar to the excellent Artificial Eye Sacrifice disk (which was also anamorphic). And then the bad news. The OAR of Tarkovsky's Nostalghia is 1.66:1. This is also the aspect ratio of the Fox Lorber DVD, a port of the earlier Criterion Laserdisc. However, Artificial Eye is here presenting Nostalghia in an aspect ratio of 1.76:1. 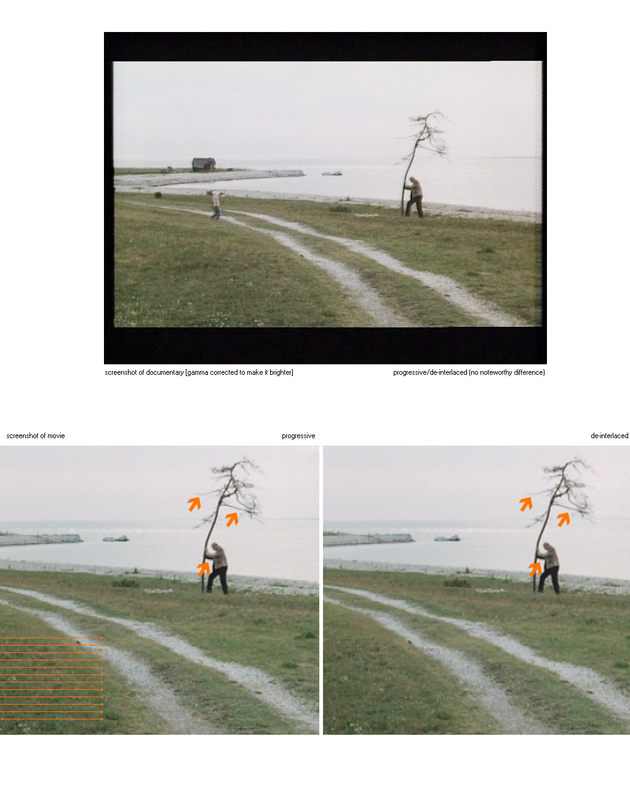 Comparing their version to the Fox Lorber version reveals that a significant amount of image material is missing from the top and the bottom of the image, slightly altering Tarkovsky's painstakingly created image compositions. We will ask Artificial Eye to explain the rationale behind their cropping of the image. Paolo Pardo has supplied us with some further clarifying details on the recently released Italian Solaris DVD [ cover scan ]. The DVD is not quite as bad as the original Italian theatrical release [ described here ] — it is advertised as being the "fully restored film, taken from a Russian print." But, the best the disc's producers could do was apparently to recover and insert the footage that had previously been cut from the film. So, the first 40 minutes of the DVD has the Russian soundtrack, after which the Italian dubbing kicks in. The tagline on the DVD's cover reads: "A fantastic trip in the sidereal space, where you can find your happiness again." (We could comment quite a bit on that, but we won't.) As mentioned in our earlier article, the scene depicted here does actually not appear in the film itself. As for the image quality, it is somewhat crisper and cleaner than RusCiCo's version, although digital video noise/artifacts are visible at times (Criterion's version is thus still the preferred version). The DVD is distributed by 20th Century Fox Italy, it comes on a single disc, runtime 160 minutes. The aspect ratio is 2.41:1 (anamorphic), average bitrate is 5.5 Mb/s. Language options are Italian DD 5.1, Italian Stereo Surround, and Russian DD 5.1 (the first 40 minutes in Russian only). The disc's extras include a 15-minute introduction to the film by film critic Enrico Ghezzi, as well as a 10-minute documentary on the restoration of the film, with the added feature of being able to compare (using the multiangle function) the original and restored versions. In a bizarre twist, during his introduction to the film Mr. Ghezzi is seen partially hiding a monitor on which the animated menu of RusCiCo's version of Solaris may be readily seen. 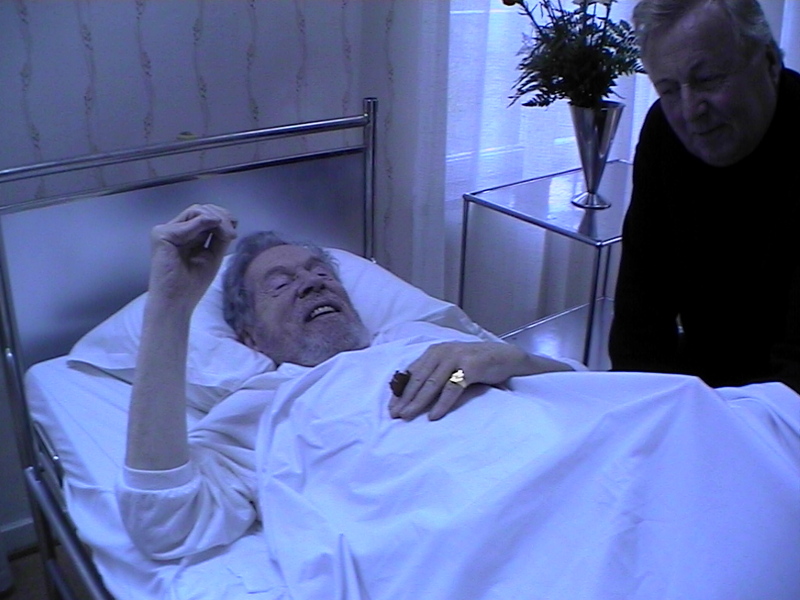 British actor Bob Hewis [ bio ] recently attended a screening of Solaris in Vienna, and filed the following report. here in Vienna last week. but what really, really, REALLY got on my nerves was the German voice-over! quality of the acting from the German artists — it was frankly amateurish. me, but oh God, this took the biscuit! duly impressed as ever, but I find it lacks the assurance of later works. "Stalker," "Nostalgia" and "The Sacrifice" are dramatically so coherent. Another Tarkovsky screening in London, England: KINO KINO! hosts regular film club screenings at Ciné Lumière, 17 Queensberry Place, London SW7 2DT (near South Kensington tube). Solaris is being screened on Tuesday March 11, at 7.30 pm. The film will be presented by David Gillespie (author of the new book Russian Cinema) and Layla Alexander-Garrett, Tarkovsky's friend and personal assistant/interpreter. 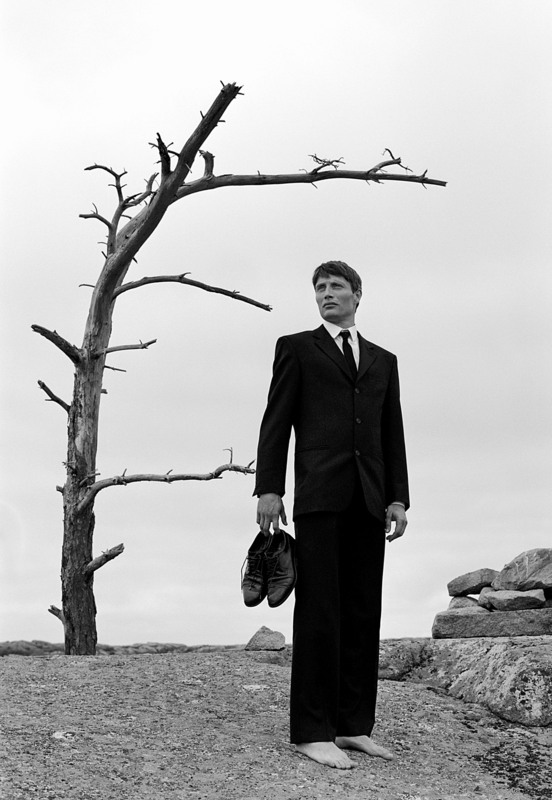 The Boston Tarkovsky retrospective has started; see our February 17 newsbrief. The Boston Phoenix carried this article. Michael Lellouche writes from Paris, France to tell us that he and his friends have created a French-language website devoted to classic movies on DVD, from silent era through early 1980s. Michael's review of Stalker is found here. Sokurov's Russian Ark opens in France on March 26. It is the first screening there, post-Cannes. We have finally established contact with Seville Pictures Canada (co-producer of Russian Ark), and they inform us that the film re-opens in Toronto on March 7th at the Varsity Cinemas. Release dates for Vancouver, Calgary, Edmonton and Winnipeg are not yet set, but should fall some time in late March/April. Stay tuned for updates. Solaris—the Italian Edition has been released on DVD in Italy. We take the opportunity to provide you with an overview of the various problems associated with the infamous Italian theatrical version of the film. Paolo Pardo has done some research for us, and provided us with this interesting and at times shocking account which we have added to our Topics' section. Artificial Eye's Nostalgia [sic] two-disk DVD set (which includes Tarkovsky's Tempo di viaggio and Baglivo's Tarkovsky in Nostalghia) now appears to be shipping. Note the new Nostalgia page on Artificial Eye's web site. We hope to bring you a review of this disk-set shortly. RusCiCo reports that Mirror should arrive at their Moscow warehouse by the end of March. This reissue will contain both versions of the audio track (Dolby Digital 5.1 as well as the original mono track). They further report that Ivan's Childhood will be released in March and that it will now include subtitles in 15 languages. We recall that Artificial Eye used a (the?) RusCiCo transfer for their Ivan's disk, but it had only English subtitles. The cover art for RusCiCo's own Ivan's disk can be seen here. Thanks to Daniel Stenvall for passing this information on to us. Gonzalo Blasco writes from Spain to inform us that his new Spanish Tarkovsky web site has reached completion. Contents include extensive reviews of the Tarkovsky student shorts, as well as essays by Mr. Blasco himself. There is also a link to a Spanish-language Tarkovsky forum. The site is Tarkovski.cjb.net. Please give him all the support you possibly can! The National Gallery of Art in Washington D.C. reports that Tarkovsky's films will be making their way there in May. This includes the four restored prints: Rublov, Ivan's, Mirror, and Solaris. This upcoming Tarkovsky retrospective has not yet been added to the NGA's official programme; thanks to Charles Tyler for the advance notice. We remind our readers in the Los Angeles area of the Tarkovsky retrospective starting this coming Friday at the Nuart Theatre [ poster ]. The National Gallery of Art, Washington, D.C., is screening a Sokurov retrospective March 1 through 16 [ programme ]. "We have recently viewed the new Ruscico DVD release of Paradjanov's Legend of Suram Fortress. The picture is a huge improvement over the indifferent Kino release. However, as is usually the case with this company, there is a fatal flaw with the print they used. This print has an actor doing a Russian voice-over throughout the entire film, including the intertitles. Needless to say, there is no option to remove this. Paradjanov's incredible soundtrack is completely ruined and a grave injustice has been done to another neglected masterpiece. One is just left speechless by the total ineptness of these people. At least the picture is decent... just turn off the sound and watch it as a silent film." We just received the following update from Charles H. de Brantes, director of the International Tarkovski Institute (Paris). million inhabitants, but number 1 for petrol production in Russia). a competition for film school students from around the world. and Moscow). Many of Tarkovski's fans were present at the event. please call 0033140750282 or send email to tarkovski@wanadoo.fr. The official 1st Spirit of Fire International Film Debut Festival web site is located here. Especially note Oleg Yankovsky's article How we shot the "inextinguishable candle" episode for Andrei Tarkovsky's film Nostalgia. Sokurov's Russian Ark continues to take the world by storm. Its run in Japan commences in Tokyo this coming weekend; further details may be found at the official Japanese web site (use mouse pointer to pan around the scene; black sprites are clickable). In the meantime, we continue to hear a distant drumbeat heralding the imminent release of more of Sokurov's oeuvre on the DVD medium. Stay tuned. The documentary film Out of the Present (1995) has just been released on DVD (Facets Video). This Russian-German co-production centers around the ordeals of Russian cosmonaut Sergeij Krikalev at the Mir space station in 1991. This is a fascinating movie, and in some small way it pays tribute to Tarkovsky and Solaris. For example, the film opens with a shot aboard the Russian "vomit comet" cosmonaut training plane with a drawing of a Solaris scene—a Romadin design showing Harey's hands squeezed trough the station's door—floating across the scene in the weightless environment... Also, right after showing footage of islands seen from space, the film cuts away to those last frames of Solaris. 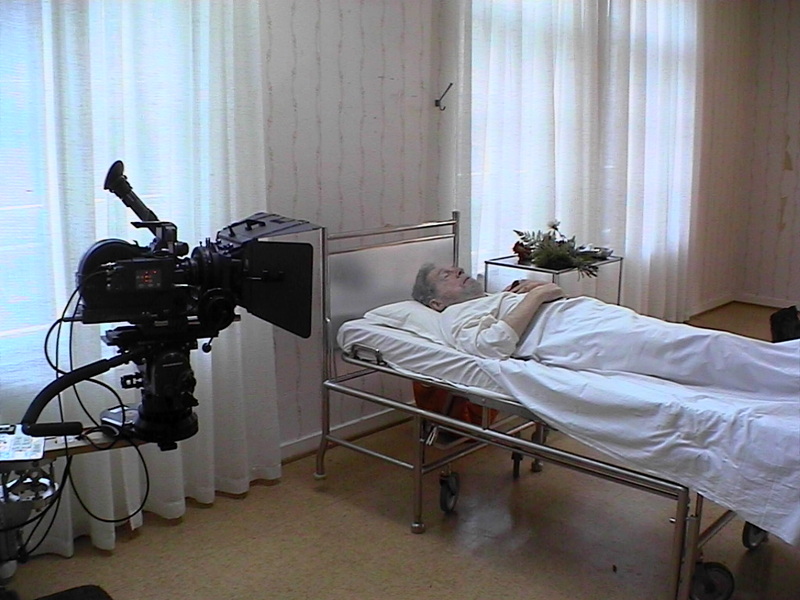 Director of Photography on this film is none other than Vadim Yusov. Thanks to Pal Virag for notifying us of this release. The Pacific Film Archive, 2575 Bancroft Way, Berkeley, California, U.S.A., is screening Solaris on Friday March 28, at 7:30 pm, and on Sunday March 30, at 5:30 pm. James Quandt, Senior Programme Director of the Cinematheque Ontario, informs us that that Sokurov's Russian Ark is going into wider commercial release following the Cinemateque's special run of the film (which is almost sold out in advance). This is spectacular news for all cinephile Canadians; you can now look for the film at select theatres near you. The Killers (Criterion DVD#176, R1/NTSC) is now shipping. The two-disk set contains Siodmak's 1946 version, Tarkovsky/Gordon's 1956 version, and Siegel's 1964 version of the Hemingway short story of the same name. The films have been carefully restored, and the resulting image quality is almost beyond belief [ analysis ]. Nostalghia.com is proud to have been involved to some degree in the production of this disk set—we assisted Criterion in tracking down source material for the Tarkovsky/Gordon student short and we supplied the brief on-screen introduction to the film [ page 1 | page 2 ]. The Swedish Film Institute (Stockholm) will be screening an Alexander Sokurov retrospective this spring. 20 films/documentaries will be shown, the most complete series ever to be shown in Scandinavia [ programme ]. 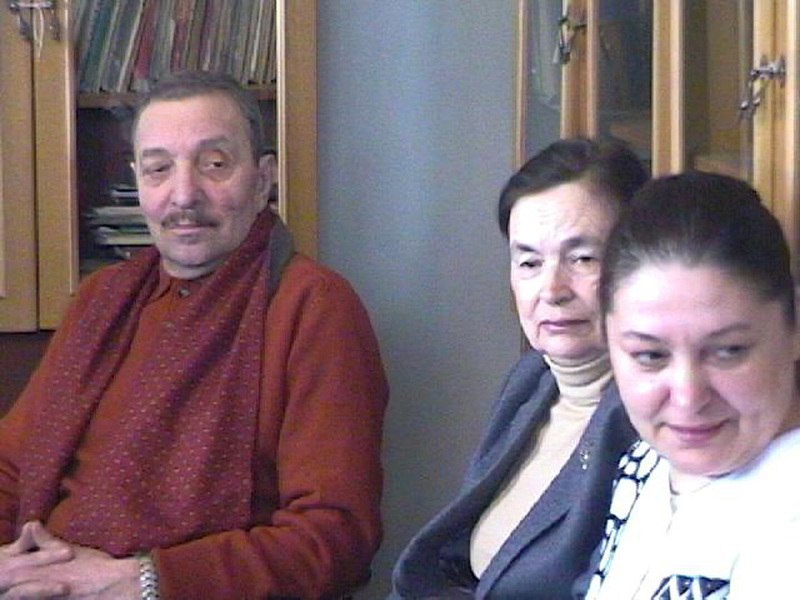 We have received a letter from Martin Vardanov of Parajanov.com. His letter is reproduced here with his kind permission. There is currently a Tarkovsky Retrospective playing at the Gene Siskel Film Center, Chicago. It includes all films except Solaris (which recently played at the Music Box) and Nostalghia. Chris Marker's excellent documentary is also being screened [ programme ]. Czech web site Nostalghia.cz re-opened on January 27, 2003, at 00:01:00 Central European Time, after a month-long overhaul. The site has been thoroughly revised, and many new sections have been added. For example, there is a review of Criterion's Solaris DVD with an analysis of deleted scenes, Czech translations of deleted opening titles, Czech translation of the Kurosawa article (incidentally, the article that Nostalghia.com provided Criterion with, which earned us that mention in the DVD's booklet). The Nostalghia.cz News page is constantly being updated. Also check out their Bresson mini-site, which opened on January 25 2003. One of the best commentaries on "slowness" in the movies is perhaps Rosenbaum's remarks on Ozu in an essay that has appeared in various places in the past, but is also found online at Senses of Cinema: Is Ozu Slow? 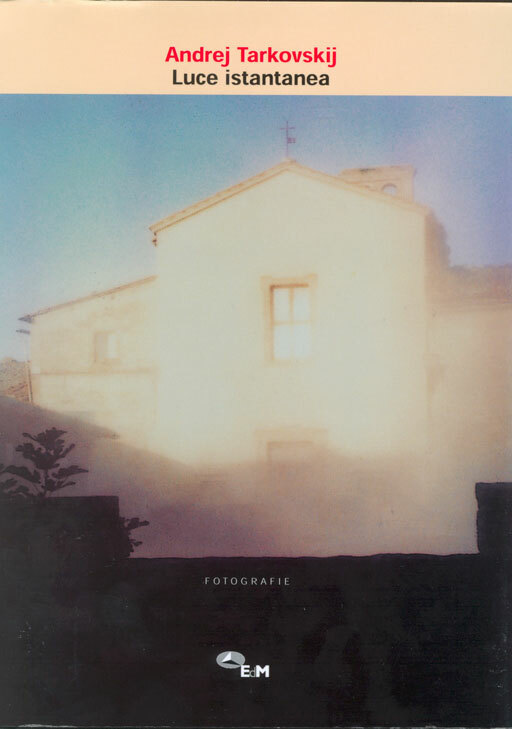 Nostalghia opened today at the Image Forum, Tokyo, in a new print. The film is distributed by Zazie films. See Zazie's impressive Nostalghia web site, complete with text, images and audio. Our numerous Japanese readers will also be interested to learn of a new book just released: St. Tarkovsky by Wakana Kaoru (ISBN4-88629-715-3). Kimitoshi Sato sent us this announcement (in Japanese, scroll down and to the right). We have no further details on this book at this time. Mr. Ebert has said before, in a different forum, that he has indeed read Tarkovsky's book Sculpting in Time. We therefore find it quite puzzling that he would make such a statement. Because, Tarkovsky was not at all indifferent to his audience. The following three quotes come to mind. I have to admit that even when professional critics praised my work I was often left unsatisfied by their ideas and comments—at least, I quite often had the feeling that these critics were either indifferent to my work or else not competent to criticise: so often they would use well-worn phrases taken from current cinema journalese instead of talking about the film's direct, intimate effect on the audience. But then I would meet people on whom my film had made an impression, or I would receive letters from them which read like a kind of confession about their lives, and I would understand what I was working for. I would be conscious of my vocation: duty and responsibility towards people, if you like. (I could never really believe that any artist could work only for himself, if he knew that what he was doing would never be needed by anybody. [...]). There are two basic categories of film directors. One consists of those who seek to imitate the world in which they live, the other of those who seek to create their own world. The second category contains the poets of cinema, Bresson, Dovzenko, Mizoguchi, Bergman, Buñuel and Kurosawa, the cinema's most important names. The work of these film-makers is difficult to distribute: it reflects their inner aspirations, and this always runs counter to public taste. This does not mean that the film-makers don't want to be understood by their audience. But rather that they themselves try to pick up on and understand the inner feelings of the audience. Taken from The Tolstoy Complex, the following is based on mimeograph notes of statements made by Tarkovsky at the Telluride Film Festival on September 3, 1983. If we want to write a poem we only need a pencil and a piece of paper. The painter can work alone in front of his canvas only. A book is a book even if it remains unpublished. Franz Kafka did not publish anything during his lifetime. Johann Sebastian Bach was—compared to his son—practically unknown. But all of his works have been preserved on paper. But one cannot create a film alone. In order to make a film one first of all must secure the funding. Perhaps it's true that cinema was born to serve as entertainment. But it's not true that cinema is entertainment. Cinema is a highly poetic form of art. [...] Cinema is a great art. But it won't reach its heights as long as realisation of film depends on money and as long as money decides whether the film is made or not. Nostalghia.com is proud to be a founding member of mastersofcinema.org. Our project (albeit still in its infancy) is intended to pay tribute to four truly great artists, viz., Robert Bresson, Carl Th. Dreyer, Ozu Yasujiro, and Andrei Tarkovsky. Some will no doubt dismiss these as men who were indifferent towards their audiences. We however consider them men of impeccable artistic integrity—Gentlemen who remained true to their own convictions. We ask for your contributions of relevant materials, suggestions, and for your general support as we proceed in our endeavors. Our alert readers were quick to inform us that Roger Ebert actually has reviewed an additional Tarkovsky film, namely The Sacrifice. The review is, in our mind, not particularly well-written, but you may wish to check for yourself. Allen and Spike Lee movies. > York  Times told me she thought Harvey Weinstein would have "improved"
> proceeds in this fashion." show by deciding what clips to make available. Interviewer: You took your film to Cannes. What did you think about the other films that were shown there? ... let us also take this opportunity to recommend a visit to the excellent Long Pauses. Andrei Tarkovsky's Solaris opens at the Music Box Theatre, Chicago, on Friday January 24. It is the new 35 mm print that is being shown; see our November 25 and December 11 news columns. The Fifth School of Sound Symposium will be held in London from the 23rd to the 26th of April 2003 [ read more ]. Among the invited speakers is Mark Rance, who was responsible for the Criterion Edition of Andrei Rublov [ more ]. It appears that copies of Artificial Eye's Mirror DVD shipped by play.com as early as December 20 actually contain the 5.1 upmix as well as the original mono soundtrack. This suggests that online ordering of the title is now fairly safe. Thanks to Gerd Syllwasschy for letting us know. Several interesting seminars will be held at the 26th Göteborg Film Festival (January 24 to February 3) [ programme ]. We note a Tarkovsky seminar on January 25 (with emphasis on general appreciation, Mirror and Nostalghia) and a Sokurov seminar on January 31 (with emphasis on the single-take Russian Ark). Nostalghia.com reader James Macgillivray has an article out in the current issue of Canadian Journal of Film Studies, called Andrei Tarkovsky's Madonna del Parto [ abstract ]. We hope to post the article in its entirety very shortly. Further to our November 21 news item on the distribution rights for Ozu Yasujiro's titles in North America, we have learned that Criterion has acquired the rights to several of Ozu's films. Among the Ozu films slated for DVD release in 2003 and 2004 are Floating Weeds, Early Summer, and Tokyo Story. Criterion's website states that the first titles are scheduled for release in the fall of this year. Further, the theatrical retrospective currently traveling the world [ see ozuyasujiro.com ] is scheduled to hit North America as part of the 2003 New York Film Festival, October 5 to November 6. Finally, as reported on robert-bresson.com, future Criterion DVD releases of Au Hasard Balthazar and Mouchette are all but confirmed. We think. The Gene Siskel Film Center, Chicago, is running a mini-retrospective of Tarkovsky from January 31 to February 24. They are screening Ivan's Childhood, Andrei Rublov (the 205 minute version), Mirror, Stalker, and The Sacrifice. Thanks to Gregory "Frodo" Runfeldt for notifying us of the upcoming event. Re: the Criterion Solaris, which I just viewed. Picture quality is no doubt superb; however, why does there seem to be a "splice" separating virtually every single shot in the film? The original Image Entertainment laserdisc was also this way, and I've also noticed this phenomenon on other films — most notably, for some reason, older Japanese films of, say, early 60's Toho. The net effect is that a "bump" occurs on virtually every single "shot transition." In a film like Tarkovsky's, with its dreamlike pace, this becomes extremely maddening and — at least for this viewer — interferes with the enjoyment of the film (I have not checked to see if the Ruscico version has this flaw). Clearly, these "splices" must be on the source print — I'm just surprised that with all the attention paid to digital restoration, that this is one flaw not corrected. Has anyone else noticed? By the way, I've also noticed a trend in digitally restored films wherein, often, the image will "freeze" for one frame just before the cut — creating a similar "bump." I wonder if these phenomena are related? Perhaps this latter a failed attempt at digitally correcting splices? Films on DVD that spring to mind where I've noticed: Rififi, Discreet Charm, Night of the Living Dead. [...] [People] I've watched films with usually don't notice at first — arguably, it's on the subtle side. But, once I point it out, they simply can't stop noticing; it's a pretty flagrant flaw once you know it's there. We have also noticed these artifacts and do indeed find them highly distracting at times. A film director we asked indicated that if a film bounces at every cut, it is clearly a fault not with a print, but with the negative or the original transfer that was made from the negative since no other print would have all these splices. Could a duplicated frame before or after every cut be an attempt to rectify this hard-to-fix problem? We would like to hear from our technically inclined readers, and we shall post a summary of any responses received. We have still not been able to conclusively confirm or dismiss the suggested problem with the A.E. Sacrifice disc (see December 2, 2002). A comparison of the documentary disc (which contains clips from the movie) and the movie disc itself does however suggest an anomaly as the subtle horizontal lines/doublings seen by some in the movie do not appear in the same movie fragment as seen on the documentary disc. The A.E. disc is however still highly recommended as the best Sacrifice disk currently available. If an encoding problem is confirmed down the road, we are quite confident that A.E. would offer an exchange, as they are doing in the case of the Mirror disk. Steffen Bieker has provided us with two additional graphics [ slide 1 | slide 2 ] that highlight these issues which are seen in progressive scan mode. We will (a) show these to A.E. and (b) keep you posted in our News section. 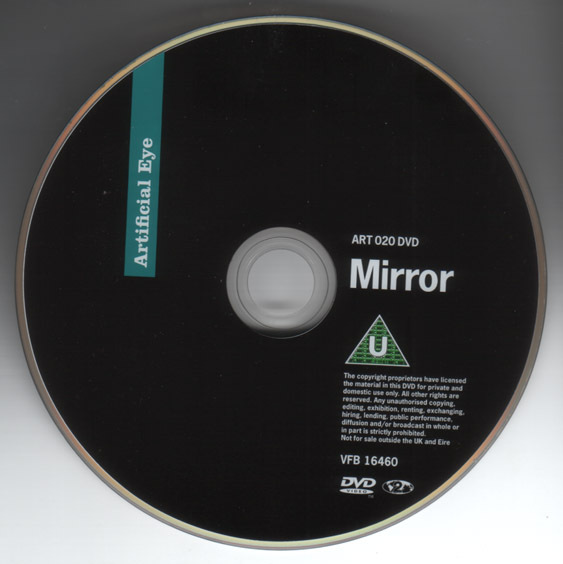 The re-issue of Artificial Eye's Mirror DVD (RusCiCo) is now finally shipping. For the full context, see our October 18, 2002 news column. If you have not yet returned your defective disc for a replacement, we encourage you to do so. Send it to Artificial Eye Film Co Ltd, 14 King Street, London WC2E 8HR, England / Att. : Steve Lewis. older disc of course so I can't compare the catalogue number etc. As we have just heard, the packaging is the same (although, we hope AE will decide to slap some informative sticker on the cover of the reissued version). The label sides of the discs are identical as well. In both cases it looks like this: [ scan of label side ]. Note the identifier "ART 020". Currently, the only way of identifying which version you have appears to be through the information etched into the inner hub of the disk's rear (shiny) side. Both issues contain the identifier "ART 020", but here with a qualifier. The original (i.e., bad) issue has "ART 020 00" engraved, while the re-issue is fully qualified as "ART 020 10". The following is a scan of the hub area of the optical data side of the re-issue: [ scan of optical data side ]. Unless Artificial Eye decides to clearly label the packaging with a sticker ("New! Now featuring director-approved soundtrack. "), we recommend that you politely request the store manager to remove the shrinkwrap and carefully peel away the various security seals so as to let you inspect the disc itself. Make absolutely sure it reads "ART 020 10" at the hub. The numbers are hard to read; proper lighting and a patient store manager are considered essentials. If you order through an online retailer and receive the wrong version, simply return the faulty disk directly to Artificial Eye (address above) for your free replacement. It couldn't be easier! type of film is no longer available. cinematographic art more false, and less true. website that must inspire filmmakers and cinephiles everywhere. We were so inspired by the above somewhat provocative Tarkovsky quote that we decided to add a new page to the website [ Tarkovsky on color vs. black-and-white ]. Ozu Yasujiro was born in 1903. To celebrate this important but largely ignored centenary, ozuyasujiro.com has posted the wonderful, but long-since out of print, compact disc A Memorial Album of Ozu Yasujiro in its entirety in mp3 format. What a stellar idea, Nick! The Tokyo Story track makes us weep. The News' Section of robert-bresson.com is slowly coming to life. The site as a whole is still a mere placeholder and will be redesigned completely. We wish all our readers a Very Happy New Year! 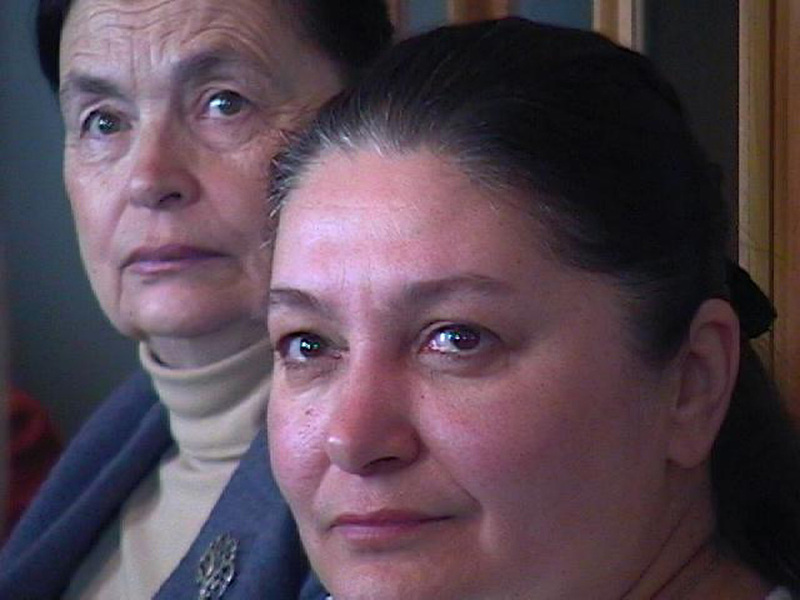 Our correspondent in Ivanovo Russia, Eugene Borzov, reports that on December 11-17, 2002, the 8th International Human Rights Film Festival Stalker was held in Moscow. A new film by Nina Shorina, called Ivan—Chai, was presented at the opening session of the Festival. Pigweed is perhaps the best English translation of the title, a type of grass widespread in Russia, particularly in deserted/barren places, in the wastelands. The film is about "Andrey's deserted house" (nothing is said in the announcement on exactly what house is meant by this). For more info about the Stalkerfest, see [ link 1 | link 2 ] (both in Russian). bed in 2002 - a love triangle in 1960 which changed his life forever. together was in Ingmar Bergman's Cries And Whispers in 1972! Festival, held between January 24th and February 3rd 2003. Although not our cup of tea, we bring you this for completeness: Ukranian computer game designer Sergiy Grygorovych states, in a recent interview: "Undeniably we were inspired by the movie Stalker when working out the plot of the game. In fact, [the game] is a fusion of the movie and two other things - The Roadside Picnic, a book by the Strugatsky brothers, and the history of the Chernobyl catastrophe." The game is called Stalker: Oblivion Lost and its web site is www.stalker-game.com. Whether or not they are licensed by Mosfilm or the Strugatskys is not known.